Today, companies are looking at digitalization to improve profitability and maintain market leadership. Many years of historical time-series data with great potential to improve operational performance is often underutilized. Join our webinar to learn how analytics empowered process and asset experts can help you accelerate your operational performance. 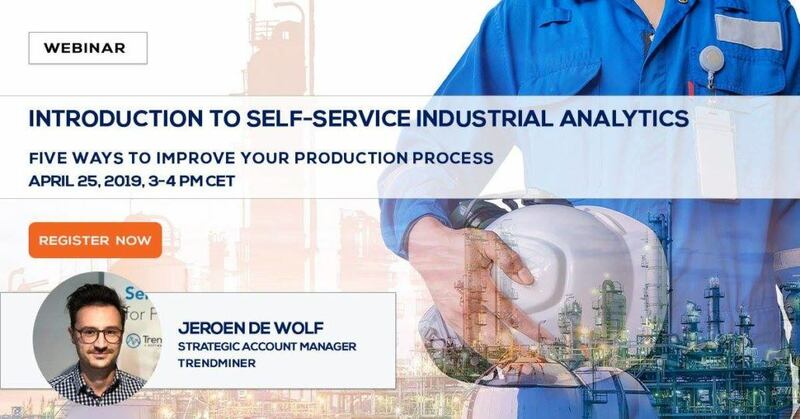 In this webinar, we will discuss the five ways to improve your production process through self-service analytics. This allows the process engineer and other subject matter experts to analyze, monitor and predict process performance without data scientists. Learn how to get immediate value out of sensor generated time-series data and easily find root causes for anomalies. Create golden fingerprints to monitor your production process and get early warnings to control your production process. Analyze, monitor and predict process and asset performance in their operational context to increase profitability. Register anyway and we’ll send you a recording after the event. 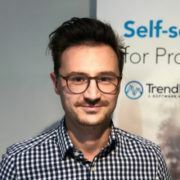 Jeroen joined TrendMiner in 2014 and is responsible for Sales in Europe and is also Strategic Account Manager for some major global chemical company’s. His drive is to add more business value through analytics solutions to the operations of his customers by showing how self-service advanced analytics can help to achieve operational excellence. In his consultative sales approach, he helps his customers to grow an analytics organization. Jeroen has a Master in Chemical Engineering from the University of Leuven in Belgium.